The recent release of Android support library (v7:21.0.+) has introduced two new user interface widget: RecyclerView and CardView that helps in building rich Android apps. The RecyclerView is more advanced and flexible and efficient version of ListView. RecyclerView ViewGroup is a container for larger data set of views that can be recycled and scrolled very efficiently. RecyclerView can be used for larger datasets to be rendered on the UI like a list. RecyclerView provides maximum flexibility to design a different kind of views. 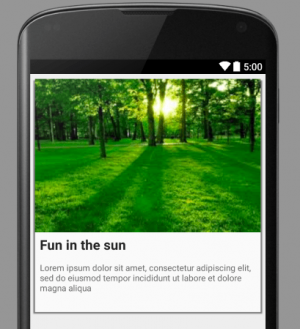 Click here to read more about Android RecyclerView example. In the other hand the CardView widget, is an extension of existing FrameLayout class. This helps to wrap other UI elements as Google style cards. CardView widgets can have shadows and rounded corners. 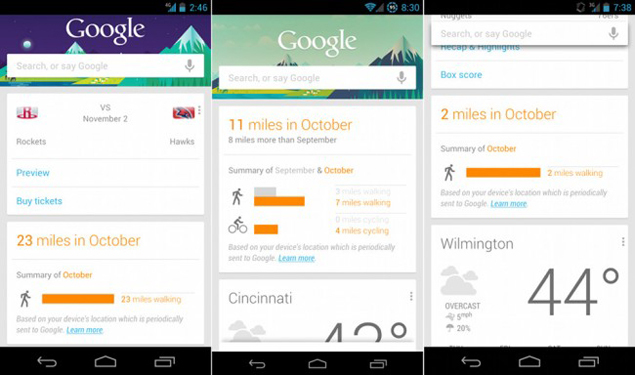 The following image shows example Google card design used Google Now application. Android SDK doesn’t includes the CardView class, and hence for using CardView in your project you first need to add the card view support library to your project. Android Studio users can add the following graddle dependency in your build.graddle file to add CardView to project. Now that we have added the build dependencies to project, let us go ahead to declare the CardView layout. In this example, we will add an ImageView and two TextViews as shown in the following screenshot. The CardView layout declaration is pretty straight forward. Let us now take a look into using some of the specific CardView attributes for customization. 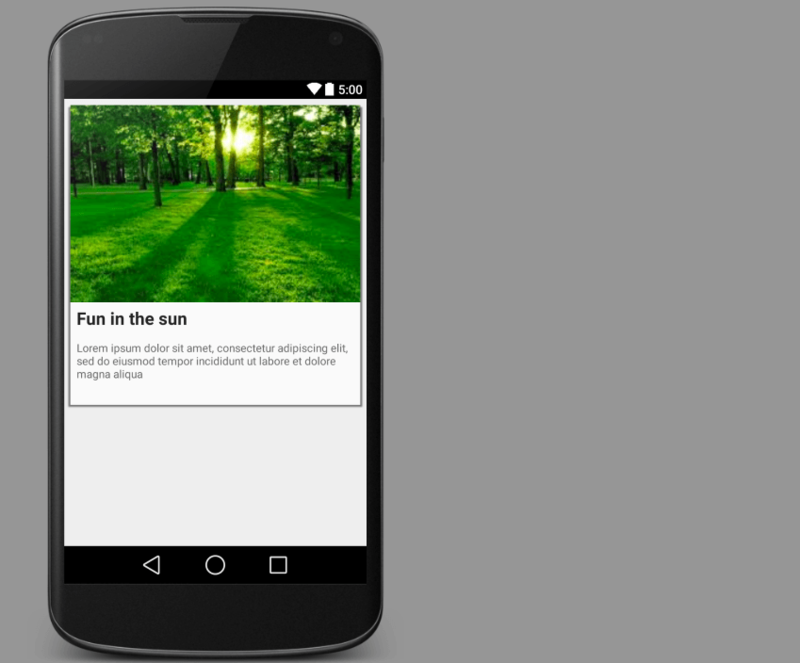 CardView widget allows you to control the background color, shadow, corner radius etc. For using the custom attributes in XML, you need to add the following namespace declaration to your layout parent. To set the corner radius in your layouts, use the cardView:cardCornerRadius attribute. To set the corner radius in your code, use the cardView.setRadius method. To set the background color of a card, use the cardView:cardBackgroundColor attribute. we use “sp” with text size, don’t we?